As mentioned in the recent FOs post, I have two new patterns for sale – both available via Ravelry and Craftsy. Firstly, there is Flightless. 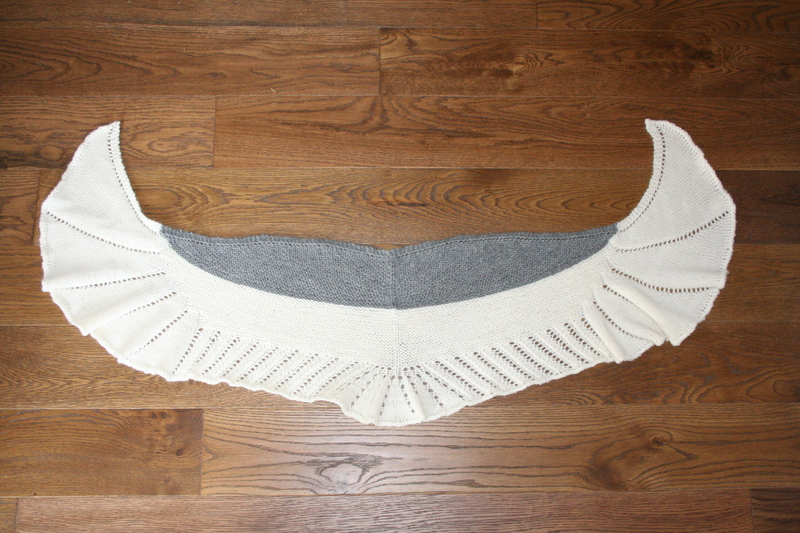 A reversible crescent shaped top-down shawl, which uses short rows to create a broad yet shallow shape. The subtle lace decoration evokes the shape and form of bird’s wings. It comes in two sizes. And secondly, there is the Laitis Cowl. A simple cabled cowl, which uses twisted stitches for emphasis—perfect for those luxurious yarns that demand to be made into something cosy. This uses less than a one skein of sock yarn. I’m planning on developing a matching pair of mittens for this one. Tags: cowl, design, knitting, pattern, shawl | Permalink.